one crumb at a time: Cookbooks - useful or good? Last weekend the Observer Food Monthly (OFM) published their list of the 50 best cookbooks. Who decides these things? In this case the panel was made up of restaurant critics, food writers and chefs (some of them the authors of books which appear on the list). Who defines what is best? How 'best' – good to read, most interesting, most original, best researched, recipes most likely to work, most original recipes, most comprehensive? In 2005 Waitrose Food Illustrated published a list of the ten most useful cookery books ever. Now useful I understand. Like any collector of recipe books and books about food there are many volumes on the shelf which are there largely because they are important to have and then there are those which are spattered and dog-eared and regularly used. What makes a book useful obviously depends on who you are, where you are and what you want to cook. I would turn to Stephanie Alexander's The Cooks Companion before I would consult Delia Smith because Stephanie speaks my language, she uses the ingredients I know I can find locally, and although both of them are a bit bossy if I had to choose one of them to be trapped on a desert island with it wouldn't be Ms Smith. The good people at Waitrose put The Cooks Companion at number 10 on their list with Delia's Complete Cookery Course at number 2. Over at the Observer they rated number 31 and number 12 respectively but I would guess that a similar list compiled in Australia would reverse those rankings, if indeed Delia got a look in. If I wanted definitive Italian food I would probably go to Marcella Hazan and Jane Grigson for English food and David Thompson for Thai but if I had to limit myself to only one food book would I choose the really useful book which would get me through pretty much any situation? 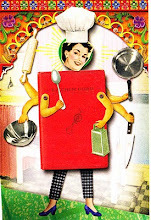 If I could have only one book on the shelf would it be The Cooks Companion? Comparing the Waitrose list with the Observer's top ten it appears that good and useful recipe books don't fall into simple categories of instructive versus informative although there are more books that have stood the test of time and/or broke new ground, either in subject matter or format, on the good list, for example, Robert Carrier's Great Dishes of the World (1963, number 10), Jane Grigson's English Food (1974, number 6) and David Thompson's Thai Food (2002, number 7). Whilst obviously 'good' and 'useful' aren't mutually exclusive categories precious few authors made it on to both lists. Elizabeth David scores at number 7 on the useful list (for a compilation volume of Mediterranean Food, Summer Food and French Country Cooking) and number 2 on the good list (for French Provincial Cooking). Nigel Slater's Real Fast Food is useful (number 3) his Kitchen Diaries is good (at number 4). Claudia Roden's New Book of Middle Eastern Food is useful (number 5) and her The Book of Jewish Food is very good (number 3). It goes without saying that the latest list generated a slew of comments with poor Nigel being criticised not only for his close association with the OFM but for his purple prose and, worst of all for any recipe writer, for recipes that don't work. 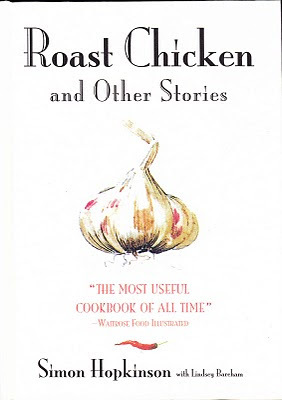 For all the back and forth in the comments about the pros and cons of various books and authors there was no mention, for or against, of the one book which appears on both lists, which Waitrose ranked as the most useful and the OFM rated at number 5 – Simon Hopkinson's Roast Chicken and Other Stories. Some of the comments relating to the OFM list suggested that I am not alone. For many cooks there are two classifications of recipe book – those that you read, enjoy and learn from but rarely cook from (either because the recipes are too complicated, the ingredients are too esoteric or simply because the book has more to do with memoir/travel/history/ethnic background/ process etc., is more of a reference than an instruction manual) and those that you turn to regularly for recipes, cooking ideas that are both relatively straightforward and trustworthy, like those of Delia, Stephanie, Margaret Fulton, Marguerite Patten and the Women's Weekly. These are books more concerned with sustenance than fashion. For me Hopkinson's book fits somewhere between these two - it is good but not likely to be come overly besmirched and bespattered, although it could become a good deal more useful if I ever decide to put the family on an offal diet. 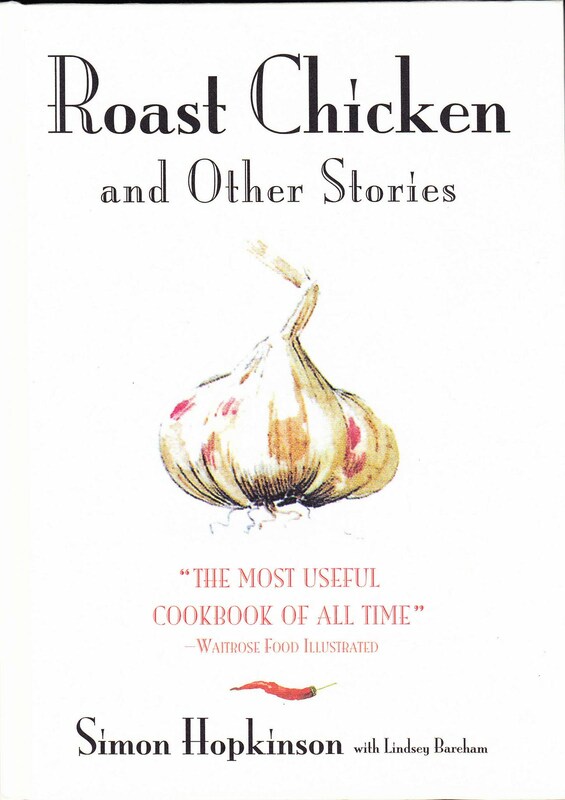 If I should ever have to confine myself to choosing only ten food books Roast Chicken might well be one of them, I just hope I never have to face that challenge.